Shout-out to all the Fedora CommBlog Contributors who have helped us surpass the ? posts milestone! 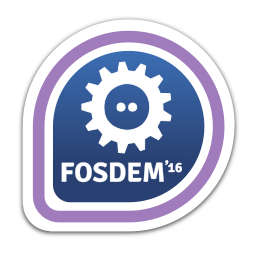 April 8, 2016 / Remy DeCausemaker / Comments Off on Fedora Stickers Sale: UnixStickers.com! This post was originally shared on the Announce mailing list. As some of you may recall, Fedora added a new seat to the Fedora Council for a Diversity Adviser. It is with great pleasure that we do hereby announce, that this seat has been filled by long-time Fedora contributor María “tatica” Leandro! What is the Diversity Adviser? The Fedora Diversity Adviser acts as a source of support and information for all contributors and users, especially those from underrepresented populations, so that issues of inclusion and equity can be discussed and addressed with planning and strategy. January has been a rather busy month. The Women in Technology New York (WiTNY) conference was my first big conference of the new year. It is also one that falls squarely in line with one of CommOps’ big priorities for this year to increase the involvement of women and underrepresented groups within our project. Using regular posts to social media, I was able to keep a sort of log of segments of the WiTNY journey.